The writer, philosopher Khalil Gibran once said, “Work is love made visible.” How true. In addition to the things we get paid for, many of us spend extraordinary amounts of time on other loves that take an equal or greater amount of effort. I’ve tried to combine both the things I love and my professional pursuits through BroadBrush Ventures (BBV), an advisory services consultancy through which I also make occasional strategic investments in new ventures. We offer branding, promotion, and other strategic & tactical marketing services through a virtual team of one or more expert solo practitioners (ESPs). We take on assignments that range from a few days quick-turn to multiple projects lasting several months each. For more information, view or download our overview presentation. Iris Plans is a tech-enabled healthcare service that helps people with serious, chronic illness live better and longer while reducing unwanted and unnecessary care. It uses specially trained healthcare staff and a telehealth platform to provide disease-specific Advanced Care Planning (ACP) services. Status: We are active advisors to the company and providing strategy and marketing support. 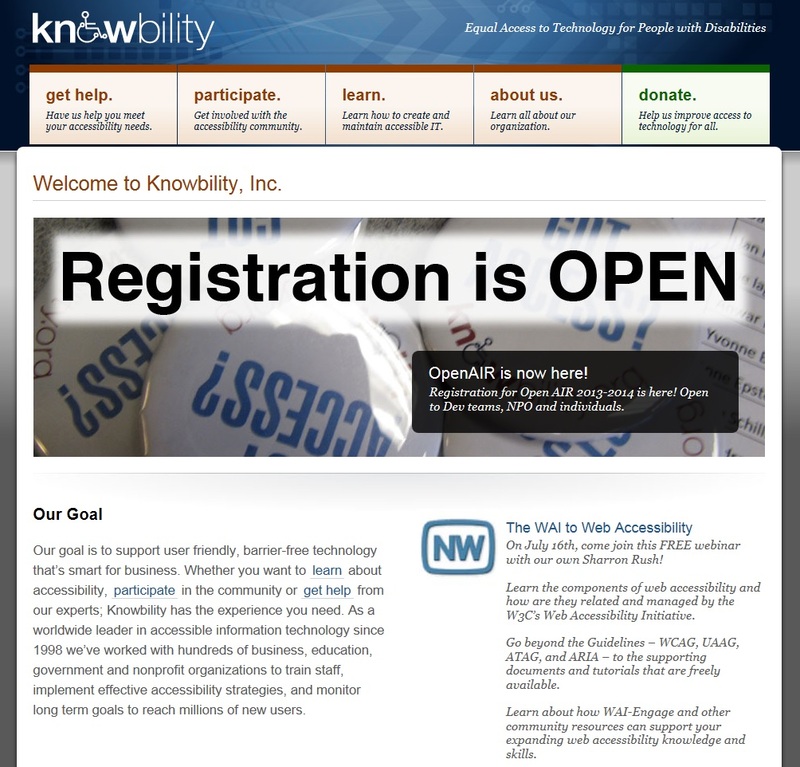 Knowbility is a global leader in making “IT barrier-free” through its consulting and training programs and unique, educational competitions, branded the Accessibility Internet Rally, or AIR. Launched in 1998, as a program of Easter Seals-Central Texas, Knowbility is a non-profit corporation (chartered under the IRS 501(c)(3) designation) headquartered in Austin, Texas. Status: We co-developed the original idea for the AIR competition, seed-funded the organization during its first two years of independent operations, and chaired the board of directors. Thought Interactive was a privately-held, digital media and web development consultancy, specializing in early pre-SaaS platforms, during the dot-com (“web 1.0”) wave of software development. Customers included Discover, Dell, and ClearCommerce, along with many VC-funded dot-coms. It was bought by Meritage Technologies, which was later acquired and is now part of the digital transformation consultancy, Perficient (Nasdaq: PRFT). Status: We were strategic investors and advisors, until the Meritage acquisition.